The 78th Fighter Squadron, the "Bushmasters" of the "Pineapple Air Force"
While only one of the many squadrons serving in the AAF in Hawaii during World War II, the 78th along with the 47th FS were the longest continually serving fighter squadrons here, and as such, the 78th is the main focus of this page. 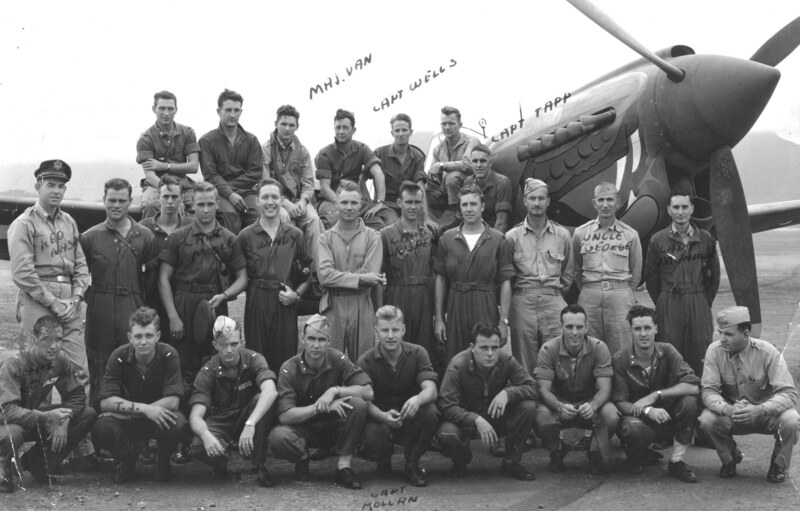 The 78th started WWII as part of the 18th Fighter Group, based at Wheeler. They remained in Hawaii for three and a half years, primarily guarding the islands from an anticipated repeat attack or invasion. During the course of their stay in Hawaii, they were based for short periods at Kaneohe, Midway, Barking Sands, Stanley Field (Schofield Golf Course), Mokuleia and Bellows. After the start of the war they transitioned through P-39s, P-40s, P-47s and P-51s. 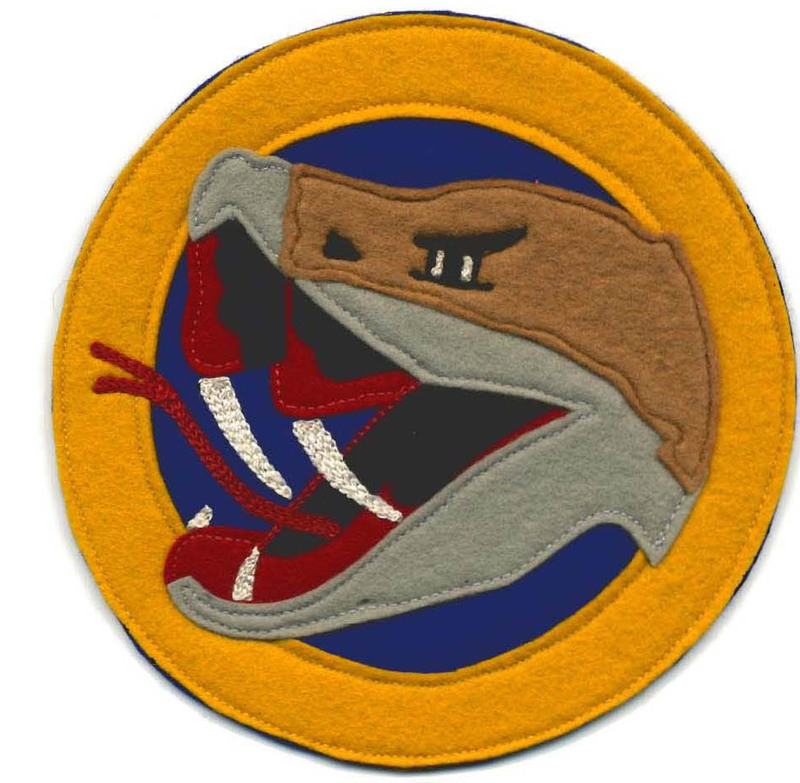 The squadron was transferred to the 15th Fighter Group in March of 1943 while on patrol duty in P-40Ks at Midway Island. Most of the months spent in Hawaii were used for training combat pilots as replacements in other units fighting to the South with the 13th and 5th Air Forces. Those training months were filled with high intensity, high performance flying with the inevitable losses of pilots and aircraft as a result. Finally, at the end of 1944, in preparation for deployment, the 78th and her sister squadrons spent six weeks transitioning from P-47s to P-51Ds. They left Bellows Field for the final time on 20 Jan 1945. Upon leaving, they buzzed the field in a grand goodbye before landing at Ford Island. At Pearl Harbor the aircraft and some of the pilots were then loaded on the USS Sitkoh Bay for the trip to Guam and Saipan. The ground echelons departed on the USS Berrian, a Navy transport ship. The balance of the pilots departed Hickam in early February via ATS aircraft to Guam and Saipan. The 78th aircraft and pilots arrived on Iwo Jima 16 days after D-Day. 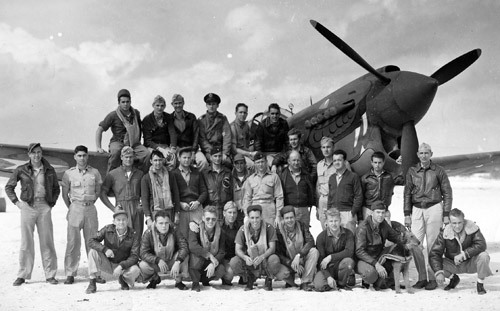 They flew in from Saipan on 7 Mar 45, following the 45th FS who had arrived earlier. Major Van De Hay, squadron commander was leading "Red Flight" and Major Jim Tapp, executive officer and first P-51 Ace of the Pacific was leading "Blue Flight". On Mar 10th the squadron started flying close air support for the marines who were mopping up the tenacious Japanese resistors. 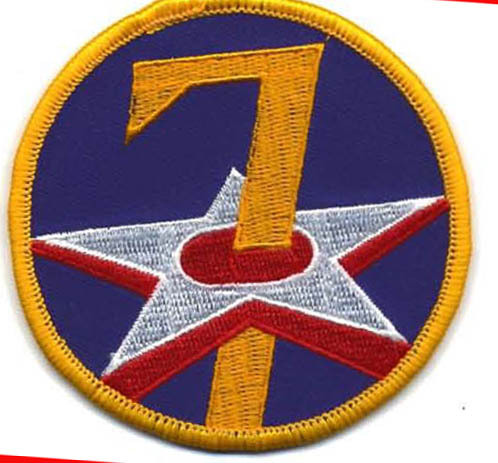 For a close online look at the 15th Fighter Command of the 7th Fighter Command, go to: http://www.7thfighter.com/ The webmaster, Mark Stevens is an acknowledged authority on the 7th Air Force.